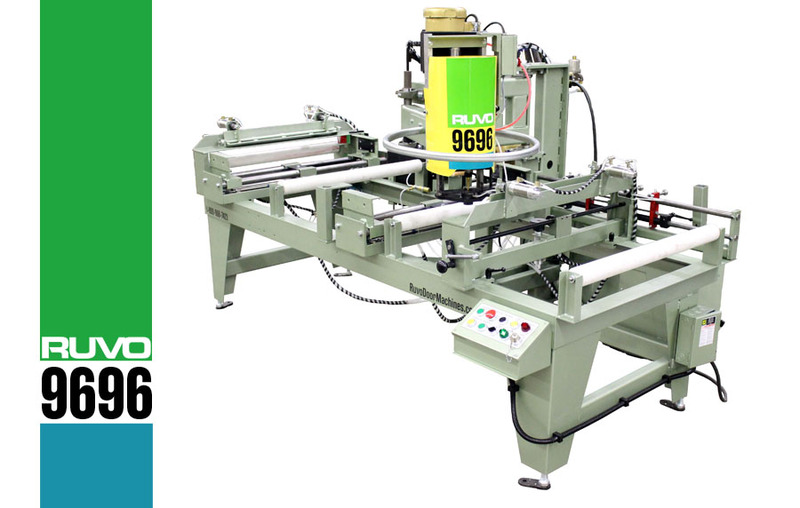 The RUVO 9696 is a versatile door lite cutter for both steel and wood doors. The heavy duty, easily operated cantilever cutting arm is key to the 9696’s speed and efficiency. After the lite template and door are pneumatically clamped, its arm follows the template edges and bores through the door at approximately four inches per second. The optional lock, latch boring and faceplate mortising features provide complete door machining center capabilities at an exceptionally low cost. Max Door Size: Door Height 8'0", Width: 3'0"
Max Lite Sizes: In 3' door: 30" x 6' or 24" x 82"